So, what is Act 2 Thrive all about? So, how do we plan to reach our community? Improving safety, visual and program excitement by updating and enhancing our children and student ministry areas. We’ll see vibrant decor, interactive learning centers, and a designated youth space, where our future generations can grow and thrive with the heart of Jesus. Connecting and serving our wider community through a brand new Community Center and Café, Neighborhood Ambassadors from CtK, Community Fun Nights & Family Partnerships. Our new café, indoor playground, and event space will help CtK stand out as a thriving gathering place for our community. Creating a deeper sense of the presence of God by refreshing and upgrading our current worship center. Enhancing the visual appeal, updating technology, and installing a baptismal area. All of these will serve to provide an attractive, comfortable environment where we can worship together and celebrate God’s work in our lives and the local community. CtK Church must act in this current wave of growth and change through relevance in our methods, facility, style, outreach and message. Through these initiatives, we will see Jesus thrive in the hearts of our church, families, and surrounding communities. Update children and worship areas. Expand with a community center/café, student area & offices. Launch a local outreach initiative to include and serve the people of our region and connect them into life-giving relationships with each other and with Jesus. So, what will the building look like? So, how do I get involved with Act 2 Thrive? That you and your family will grow in faith as God works through the Act 2 Thrive initiative. Listen for God’s direction. Remember that God can do the impossible with our giving commitment. Ask God to work through your generosity to make an eternal impact over the next 36 months. Join an Act 2 Thrive ministry team at CtK. Let’s work together to impact our surrounding communities with the love of Jesus. I want to commit to giving. I want to setup recurring giving. Q: What is the estimated cost of the ministry advances, staffing and facility upgrades? A: Until the drawings on the facility upgrades go through engineered drawings and out to bid, there are no concrete numbers for the facility side. The preliminary estimation is around 3 million. Q: How much would our facility debt increase? A: Our prayer for the Act2Thrive movement is to pay in cash. It will take more sacrifice from us on the front end but save hundreds of thousands of dollars on the back end. We also do not want to increase debt on this next generation or be burdened by more debt that would prevent ministry advancement. Q: How will we meet this $3 million goal? A: Each person at CtK will have the opportunity to pledge and give toward this appeal. Since we want to pay this in cash and not increase our debt, we will need to give generously from the cash, assets or savings from which God has uniquely blessed us. We are praying that each would consider his/her blessing and pray and he/she might leave a legacy and help secure the future impact of CtK Church. Gifts can come from stocks, bonds, real property, retirement plans, insurance policies or cash. Q: When would construction start? A: It is our goal to have 50% cash in hand and 100% pledged before we begin construction. Our prayer is to begin by late fall of 2019. Q: Can we begin some of the Act2Thrive program initiatives before the facility is completed? A: Yes, the “Family Partnership” is already underway as a pilot program and staff and teams are refining other ministries related to the A2T outreach. The outreach staffing position could begin in 2019 based on resource availability. Q: How long would the Act2Thrive pledge period be? A: A pledge is your financial faith commitment to the A2T outreach campaign. It helps the whole congregation know the resource available for the project to begin. You can pledge over a three-year period and give toward that pledge in any interval that works for you – weekly, monthly, yearly. If your financial situation changes, you can raise or lower the pledge simply by calling the church office. The more commitments that are paid in the first couple years, the sooner construction can begin. Each person will receive a pledge card in your Act2Thrive packet. Q: How will this appeal affect our general giving? A: We would ask that all Act2Thrive giving be above and beyond one’s current general program giving. We want to keep our strong ministry going so we need annual contributions to remain strong. Q: What is the time frame of the appeal? A: Outreach program and facility change concepts are complete. Congregational pledge and gifts are taking place in February and March. Refined drawings and ministry plans continue through summer of 2019. Depending on resource availability construction and new outreaches could begin in late 2019. Q: Are we attempting or planning to become a Megachurch? A: Our plan is to be faithful to the vision God has given to CtK. There is more about that vision on our website. In short, it is our mission to connect all people to the life-giving message of Jesus. We want to be a vibrant church, changing lives and impacting the community in which God has placed us. Q: If we raise more than our goal, would we attempt to build Phase II, a new and bigger Worship Center? What would we do with extra funds? A. We would want to do phase 1 well with clear measurable impact on this region. Future growth will tell us when it is time for phase 2. Funds gathered over the cost of phase 1 would be used to pay off any current debt. Q: Will Pastor Craig lead us through this next season? A: Pastor Craig’s heart and passion is to see CtK Church be a vibrant mission center today and into the future. He will certainly guide us through this process and continue to raise up our next generation leaders. Q: Why don’t we have a debt reduction campaign instead? A: We have been doing great over the past few years, reducing our debt from about $1.7 million to around $775,000. We will continue to aggressively pay off our debt each month through operational expenses.  The Act2Thrive Appeal is about growing forward to meet the needs of this rapidly growing community. If we do not make these critical changes now we will miss much opportunity to grow, to reach those far from God, and end up declining as a church. Q: Will older people have a place at CtK Church with so much emphasis on families and children? A: Yes, the increase in space from the Community Center will provide intentional programming for all ages, seniors included. CtK Church values diversity of ages. It is through these age diversities that everyone is blessed and enriched as we learn from one another. Q: If there is a Community Center and Café’ open all the time will my children be safe in preschool and church? A: Like schools, churches are public space. Anyone can come on campus at any time. Having a Community Center will positively increase our impact on the community. At the same time, we will need to ensure the safety of our children meeting in classes. With the new renovations and construction these concerns will have top priority. Preschool and Sunday Children’s Ministry will have secure zones that are easily lockable with cameras and security. Q: Will the Café charge for food and drink? A: Yes, The Café & Coffee Shop will be a place you will want to come to and bring your friends. It will be first class and self-supportive, like any other café/coffee shop. It would also be available to cater for meetings and events.